Despite my enormous sweet tooth, I'm not a huge consumer of candy. That being said, if it's put in front of me, I cannot be held responsible for what I may do (especially if we're talking about some peanut butter m&m's). However, one of my favorite things to do when I was growing up, was to go trick or treating. My Mom would help my sister and I to create costumes, then, come Halloween, we'd head out into the night to collect our loot. I may not be dressing up anymore, but that doesn't mean I'm not heading out into the night (aka running to Target after 8pm) to collect my loot (aka chocolate). Of course, everyone knows you need something to hold your loot in. Grocery bags and pillow cases are one thing when you're a kid, but once you're an adult, it's time to switch to, should we say, more sophisticated containers. 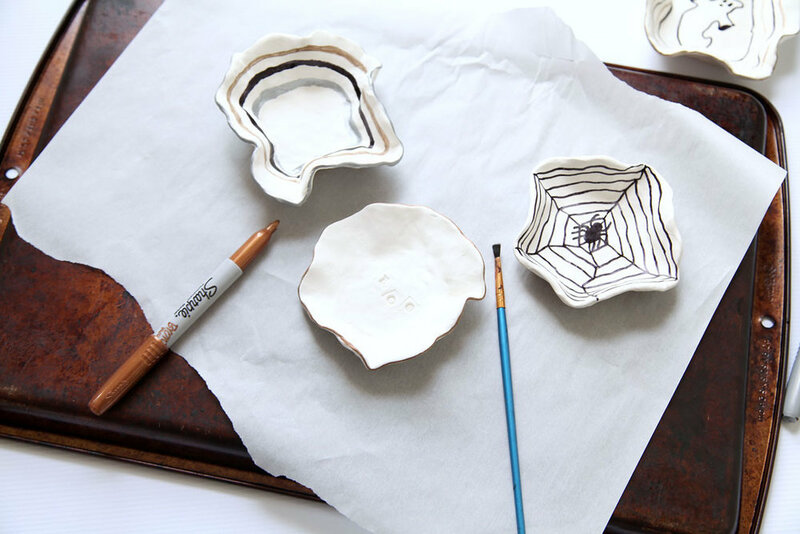 These little DIY clay bowls fit the bill to the T. They can easily be made in an afternoon and decorated to suit your personality/design style. However, the best part is that they're cute even when the candy runs out, and let's be honest, we all know how important that is because no one, and I do mean no one, can keep a bowl of candy around for more than 24 hours. 1. Break a small amount of clay of of the block. 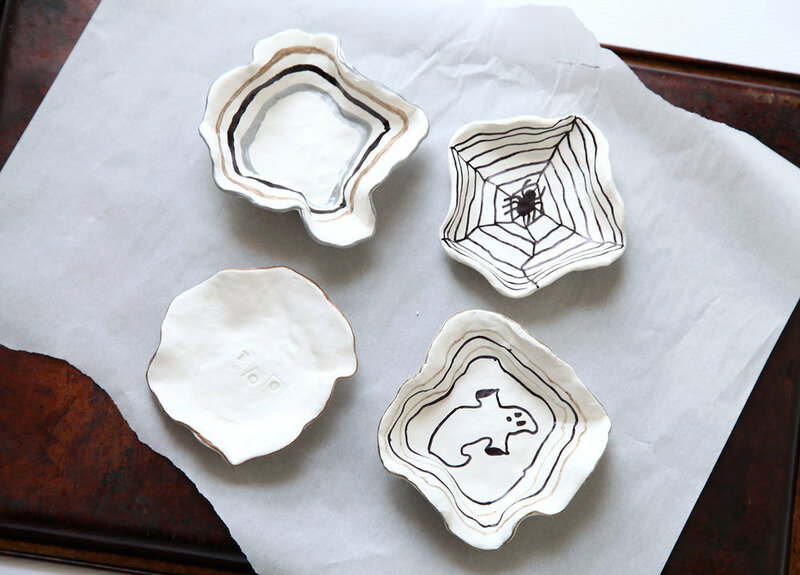 Work it around with your hands (kind of like pizza dough) until it becomes soft and pliable. 2. Shape the clay into a disk that is about 1/4" thick. You can continue doing the shaping between your hands, using your hands to spread it out on a hard surface, or kneading it out with a rolling pin. 3. Next, start forming the disc into the shape you want. 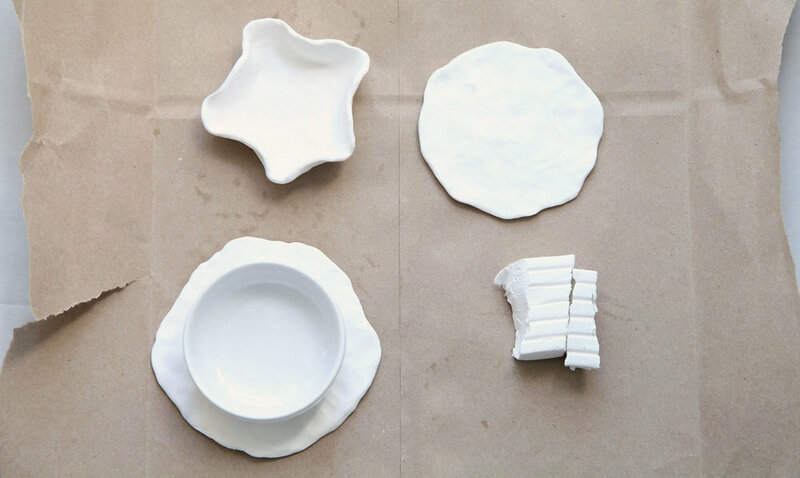 You can use a cookie cutter to cut out perfect circles or you can even use another small bowl as a mold. 4. 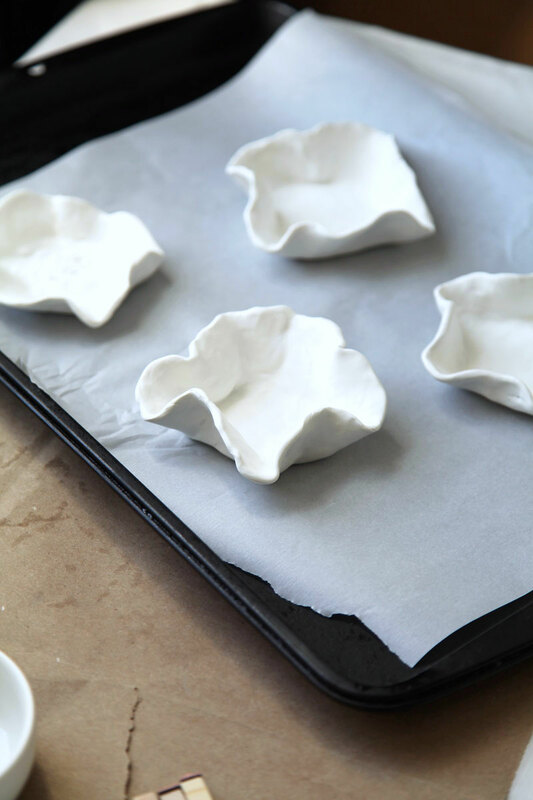 Once your done shaping your bowl, place it on a parchment lined baking sheet. Repeat these steps until you've used up your clay. 5. If you plan to stamp any of the dishes, now is the time to do so. Otherwise, bake them at 275 degrees for about 10-15 minutes, watching them carefully to make sure they don't burn. When you pull them out of the oven, they will still be a little soft so use caution in moving them around. I would recommend keeping them on the tray until they've hardened and cooled. 6. Once they're cool, use your sharpies or paint to decorate them as you wish. Let the paint cool. If desired, give them a coat of gloss (this step is totally unnecessary, though). 7. Fill them with candy and enjoy. *Notes: The clay will pick up any (and I do mean any) dust and dirt that is in the air or on your hands so try to keep as clean a working space as possible but know that some dust is inevitable. 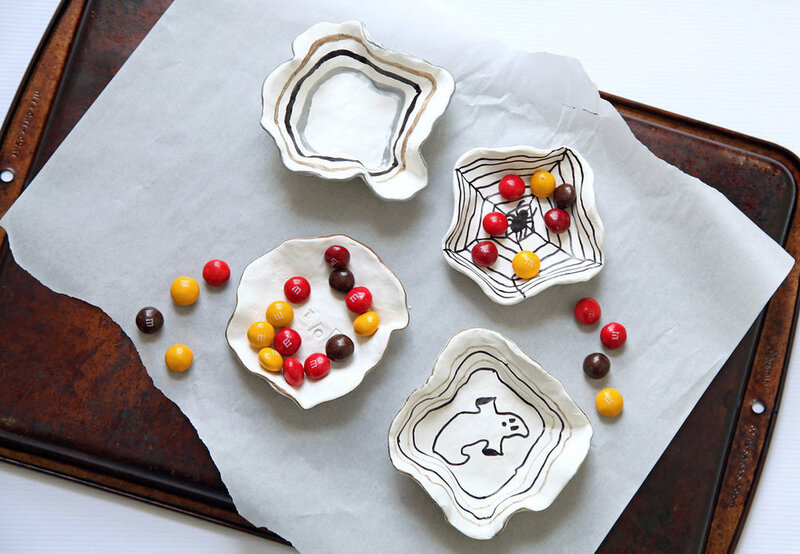 Be sure to cover your work surface with paper (I used an old paper bag) as the clay can slightly stain. If you're looking for smoother clay, I would recommend rolling it out. However, if you're like me and you want a more rustic, unfinished look, working the clay with your hands will be just fine. One last thing, make sure to smooth out any nicks/bumps/lines or anything else you don't like because once it's baked, it's in there for good.